Equine injuries can be a confusing and delicate thing to administer to. 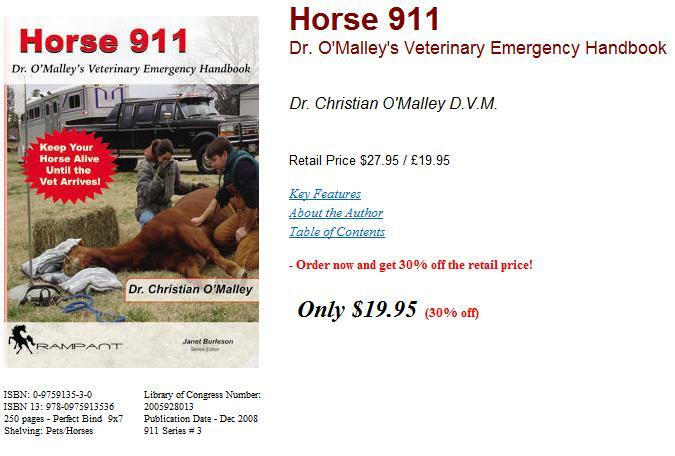 This is an informative book that will help you deal with those questionable equine injuries. 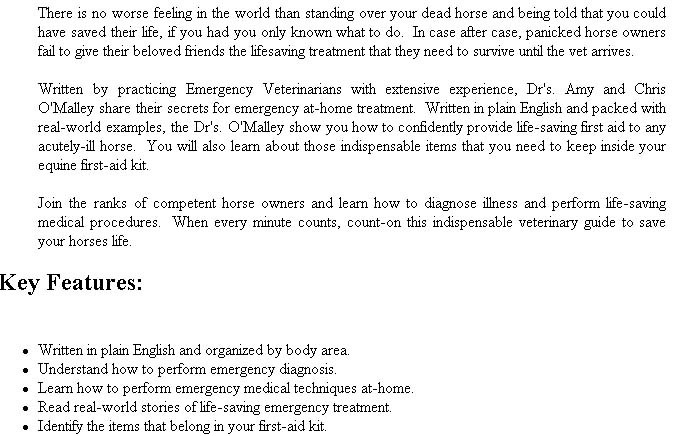 This book covers such topics as equine injuries, what to carry in your equine first-aid kit and so on. A great guide for dealing with equine injuries.